Chicago-based C.A. Fortune, a national consumer products sales and marketing agency, recently hung out a shingle in Bentonville in the company’s effort to establish a foothold in retail central serving large, small and even non-revenue product suppliers and their Walmart business. Tyler Gill was tapped to lead the company’s entry into the market and has been working to staff the new office located at 1002 McClain Road in the Beau Terre Office Park in north Bentonville. Tyler Lowell, managing partner at C.A. Fortune, said the company nailed down the lease for roughly 2,500 square feet of space with an option to expand as the company grows its local footprint. The last week of August, Lowell said final interviews were being wrapped up and offers being extended to fill out the company’s analytics team who will provide customer insights and work with Retail Link, Walmart’s proprietary inventory and sales database. Lowell said the small back-office staff is slated to begin work in the new office effective Sept. 4. As the company scales up over the next few months, he expects to add account managers to represent its clients to Walmart. Lowell did not provide specific numbers for the positions being added. He said the timing is right because of the client interest and finding the right leader in Gill to spearhead the local operations. Gill previously served as vice president for Acosta Sales & Marketing serving Walmart. He spent 12 years at Acosta, working his way through the sales and marketing division to client management and business development. When he left the company, Gill was the senior leader over Acosta’s Walmart Gaming Software, a $1 billion category. He oversaw the relationships of 16 different product suppliers to Walmart managing a multimillion dollar budget. Lowell said Gill has the relationships and expertise deemed essential in kicking off the venture. The local office will work with more than 5,000 Walmart retail stores nationwide. He said Gill is familiar with a large retailer presence, having served roughly 4,000 stores in his previous job. Lowell said the company’s focus lies largely in fresh foods. The privately-held company was founded in 1983 and employs roughly 375 throughout its eight offices located in Chicago, Bentonville, Cincinnati, Dallas, Denver, Los Angeles, New York City and San Francisco. When asked how the company planned to help local suppliers, Lowell said C.A. Fortune has a track record with small brands looking to scale. He said one client — a small yogurt manufacturer in a pre-revenue state — was able to disrupt the category and grow sales to between $40 million and $50 million in just two years after signing on with C.A. Fortune. He said the company took a pasta sauce sold in one Italian restaurant in Brooklyn, N.Y., into the retail space and created $25 million in sales over the past 3.5 years. Today the brand — Michael’s of Brooklyn — is sold online at Amazon, Walmart.com, Target.com and Jet.com. Lowell said while C.A. Fortune does have a knack for working with companies on initial retail launches, it also finds success with clients looking to grow less well-known product exposure and distribution. He said the larger suppliers might not need the sales management services offered because they already have a dedicated team. But C.A. Fortune can work on marketing laggard products and growing segments of their overall Walmart business. Lowell said C.A. Fortune works with conventional and specialty retailers including H-E-B, Publix, Kroger, Target, Big Lots, Food Lion, IGA, SuperValu, Meijer, Giant Eagle and Associated Grocers. The company has not worked directly with Walmart on products sold into brick-and-mortar stores. The company also works with natural foods stores such as Whole Foods, Akin’s, Fresh Plus and David’s Natural Market. There is also a segment within the business that focuses on bakery and deli where it provides products, sales and management support, as well as business insights. With the changing paradigm of retail to omnichannel, Lowell said the company is also working to help suppliers do a better job of selling products online, which has to be part of their strategy if they are selling to Walmart. C.A. Fortune’s move to Bentonville fits the ongoing trend of third-party suppliers staking out ground in Northwest Arkansas to help suppliers with online and omnichannel sales and marketing, according to executive recruiting firm, Cameron Smith & Associates (CSA). Chicago-based ItemMaster, which facilitates online sales, also established a local presence in Bentonville earlier this year. In January, marketing and merchandising firm Premier Concepts of Bentonville was acquired by competitor Premium Retail Brands of St. Louis, Mo. WhyteSpyder of Fayetteville has also ramped up its staff in recent years as Walmart pushes suppliers to improve content for items sold online. CSA estimates third-party suppliers or “vendors to the vendors” who help consumer packaged goods and other manufactures do a better job managing their Walmart and Sam’s Club businesses now represent about 400 companies. 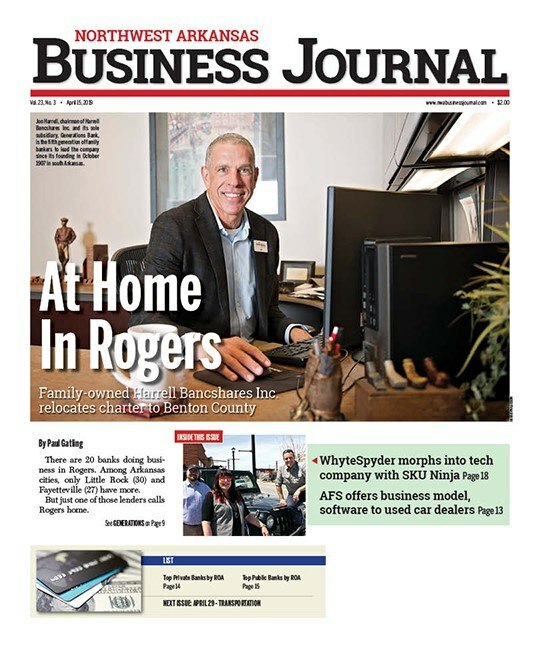 With companies like Mars Advertising, Acosta, Anderson Merchandising, Crossmark and WhyteSpyder, Cameron Smith said “vendors to the vendors probably represent the biggest growth in Bentonville the past few years.” Lowell said if the response in Bentonville is anything like what the company has seen in Cincinnati serving Kroger, a major competitor to Walmart, the venture will be a success.